THE TRUTH of the matter is that in any other country, serious about weeding out corruption, greed and serious about accountability and transparency, Senate Pro Tempore, Mr. Albert Chie and those who benefited from that ExxonMobil deal would be in jail. But because Liberia is a country that turns its back on good governance, Mr. Chie now presides over a Senate which just lynched a sitting Associate Justice and is now looking to dishonor one of the few honorable members of the Liberian Senate, Bomi Senator, Sando B. Johnson. SENATE PRO TEMPORE Albert Chie last Thursday, wrote the plenary of the Liberian Senate requesting an investigation of Senator Sando B. Johnson (NPP, Bomi) after the Senator accused some of his peers of receiving bribes to impeach former Supreme Court Justice Kabineh Ja’neh. 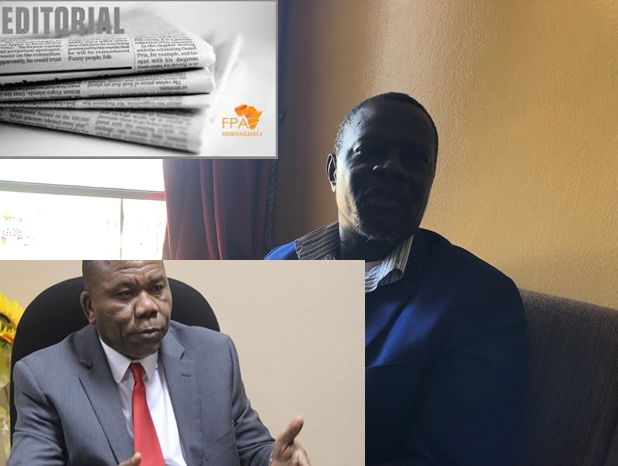 THE PRO TEMP CLAIMS that Senator Johnson made the allegation at the Unity Party Alternative National Congress and Liberty Party’s coalition signing ceremony. WHAT WE FIND troubling is that Mr. Chie who is under mounting scrutiny for overseeing the broad-day political lynching of a sitting member of the high court is looking to turn the tables on one of a handful of Senators who actually had the balls to stand and be counted in a bid to uphold the constitution of the Republic of Liberia. SENATOR JOHNSON was simply exercising his rights when he wrote the Presiding Officer of the political impeachment trial, calling for a recount of the ballots cast, insisting that the results announced to remove Justice Ja’neh from the Supreme Court Bench did not commensurate with the ballots cast. THE SENATOR IN A stinging communication dated Tuesday, April 2, Sen. noted that nine of 29 Senators, that the impeachment trial and the removal of Justice Ja’neh was unconstitutional, illegal and in gross violation of his right and will therefore not support his removal. IN THE AFTERMATH of the impeachment proceedings, Senator Johnson has been proven right. Senator Gbleh-Bo Brown (Independent, Maryland County) who voted for the impeachment is now quarterbacking, telling legislative reporters last week that he believes that other Supreme Court Justices still on the Court’s Bench and who along with impeached Justice Kabineh M. Ja’neh, signed onto the road fund petition, should also be removed from offices, too. TWENTY-TWO SENATORS voted to remove Ja’neh; four voted against his removal, while three abstained from the process amounting to a total of 29. SENATOR JOHNSON MADE it clear that the Senate leader was out to take his life when the Pro Tempore threatened to order his security to drag him out of his office and beat him publicly. 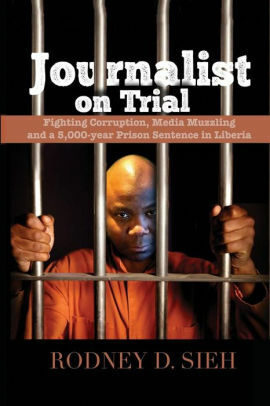 CONTRARY TO the Senate Pro Temp’s claim that Senator Johnson has embarked upon a smeared campaign to tarnish the reputation of the Senate by bringing that August body to public ridicule, the Pro Temp should be more concerned about how the Senate under his leadership has lost respect and credibility in the eyes of Liberians. HOW QUICKLY Mr. Chie has forgotten? If JUSTICE Kabineh JA’NEH did the unthinkable act which this very Senate has said he is guilty of, we see no reason why the rest of those still sitting on the bench should be there. The adage is clear: What’s good for the goose must also be good for the gander. THE SENATE LEADER was a key beneficiary of the sale of Oil Block 13 acquired under unscrupulous means. MR. CHIE was Assistant Minister of Lands, Mines & Energy when he and a few other government officials sold the oil block. SADLY, WHEN THE U.S. petroleum giant ExxonMobil finally put pen to paper on the controversial oil Block 13, the conclusion instantly made Chie and a select group of Liberians who happened to have been at the helm of power when the initial negotiations and ratifications were concluded as members of Liberian government, US$3.1 Million richer. FRONTPAGEAFRICA WHICH broke the story in May 2013, reported that as part of the final breakdown, Exxon doled out a total of US$120 million. Out of that amount, US$45 million went to the National Oil Company of Liberia, US$5 million to the government’s coffers as taxes while US$70 Million was paid to Broadway/Peppercoast. Out of that US$70 million, sources tell FrontPageAfrica $US3.1 Million is expected to paid out to Liberia shareholders of the block originally owned by Broadway. THE TRUTH of the matter is that in any other country, serious about weeding out corruption, greed and serious about accountability and transparency, Mr. Chie and those who benefited from that deal would be in jail. But because Liberia is a country that turns its back on good governance, Mr. Chie presides over a Senate which just lynched a sitting Associate Justice and now looking to dishonor one of the few honorable members of the Liberian Senate. SENATOR SANDO JOHNSON is doing what Mr. Chie and others should be doing by raising red flags on issues that matter to Liberia and not just himself. The Senator is risking it all and speaking truth within a corridor of power that has been corrupted to the core. SENATE PRO TEMP Chie can save face by withdrawing his letter against Senator Johnson and apologizing to the Liberian people for the errors of the Senate’s way in overseeing the political impeachment and lynching of Justice Ja’neh. IF JUSTICE JA’NEH did the unthinkable act which this very Senate has said he is guilty of, we see no reason why the rest of those still sitting on the bench should be there. The adage is clear: What’s good for the goose must also be good for the gander. SENATOR JOHNSON’S VOICE is a welcome relief for those languishing at the bottom of the economic ladder, a refreshing presence for those without a voice and one of a rare breed of Senators, badly needed in a nation mired in a recurring state of uncertainty.